OK, so my last post about my apparent dislike of Gouda cheese caused a bit of a firestorm of protest from Dutch blog readers and friends. Apparently I insulted their national icon. Various other words were uttered, they may have been bad, all Dutch words sound dirty to me, so I wouldn’t know. I should have been a diplomat. In the spirit of reconciliation and being able to show my face around town, I searched for the famed aged Dutch Gouda cheese many had told me about. I found it at Dean & Deluca here in Doha – two year aged cheese from Wyngaard. The Reypenaer VSOP Gouda is aged for two years. Each year the family who make this cheese, set aside a small selection to age for two years. I never like to admit that I am wrong, but this was a pleasant surprise and worlds away from the supermarket Gouda and Edam we know and abuse. Reypenaer XO reserve loses a lot of weight during its extended maturing period. 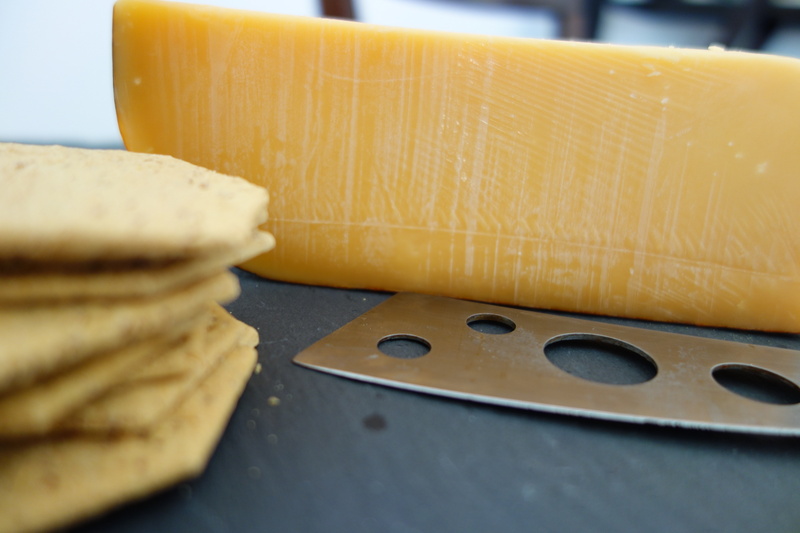 This weight loss combined with the use of smooth milk gives the cheese its characteristic flat shape. Reypenaer XO reserve has a uniquely rich, pure flavour that lingers on the palate for a while after, but in a good way. I can imagine it with a smooth glass of red on a cool afternoon. So dear Dutch friends, I take back everything I said about Gouda. I was just hanging with the wrong crowd. i cant get over your posts! i love cheese more than anything else…i cant wait for your quest to finish! ill keep on reading your blog….nice cheese you have here! hope i will be able to taste even half of it!